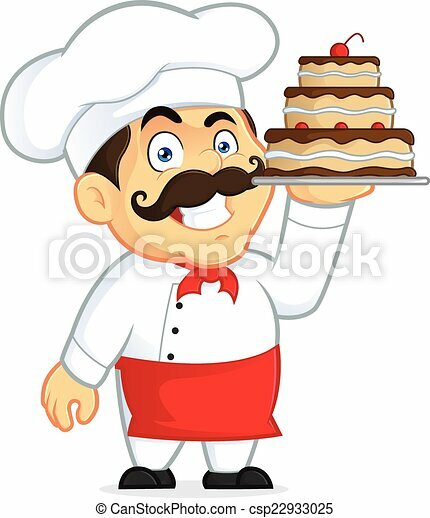 Chef with chocolate cake. 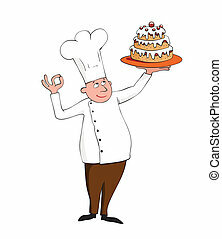 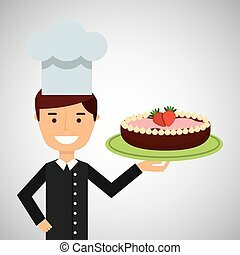 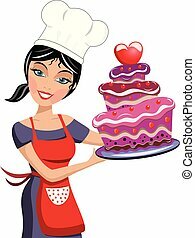 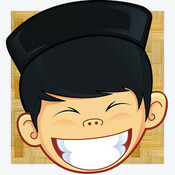 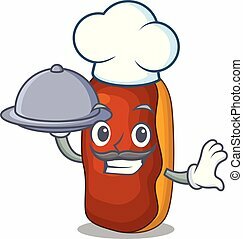 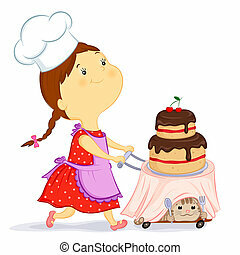 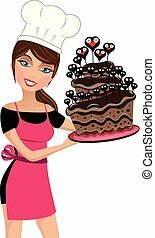 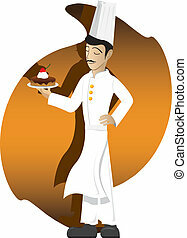 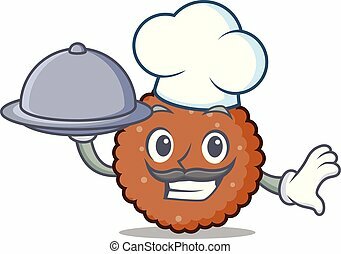 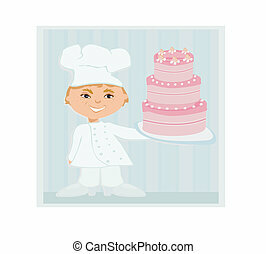 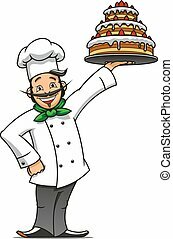 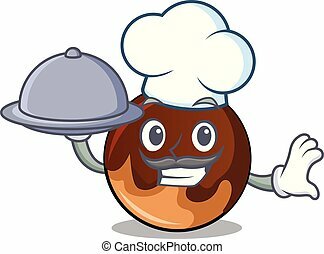 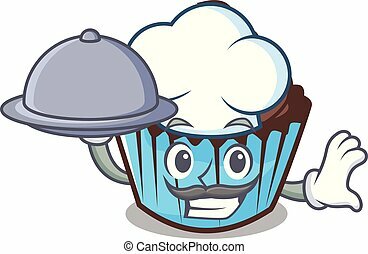 Clipart picture of a chef cartoon character with chocolate cake. 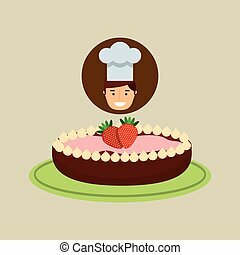 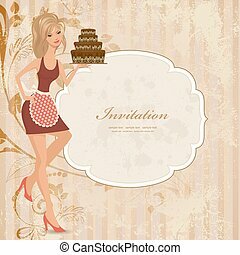 Illustration of chef with chocolate cake on abstract background.